Despite it being the same multiplayer build that was shown at Blizzard's Worldwide Invitational earlier this month, a playable version of Starcraft II has been keeping the crowds entertained at the Games Convention 2008. Designed with the goal of being the ultimate competitive real-time strategy game, StarCraft II sees the return of the Protoss, Terran, and Zerg races, although each race has been overhauled to offer further balance to the gameplay. In addition to its single-player campaign, which picks up the epic saga where the last entry in the series, StarCraft: Brood War, left off, StarCraft II will offer online play through an upgraded version of its online gaming service, Battle.net, which will include a competitive ladder system and a matchmaking component that aims to bring together players of a similar skill level. Once again, Blizzard has used its expertise to created some stunning cut-scenes of cinematic quality that advance the storyline superbly well. "The controls for these scenes will be much more intricate than before. Since our graphics engine for the game itself can display a wide range of effects, such as normal mapping, we can actually create in-game cut-scenes of near-cinematic quality. And since we have more control over camera movement, unit animation, and lighting, our only limitations here are the engine's limitations. A good part of the plot will unfold through in-game cut-scenes, but the most pivotal scenes are still being told through cinematics." 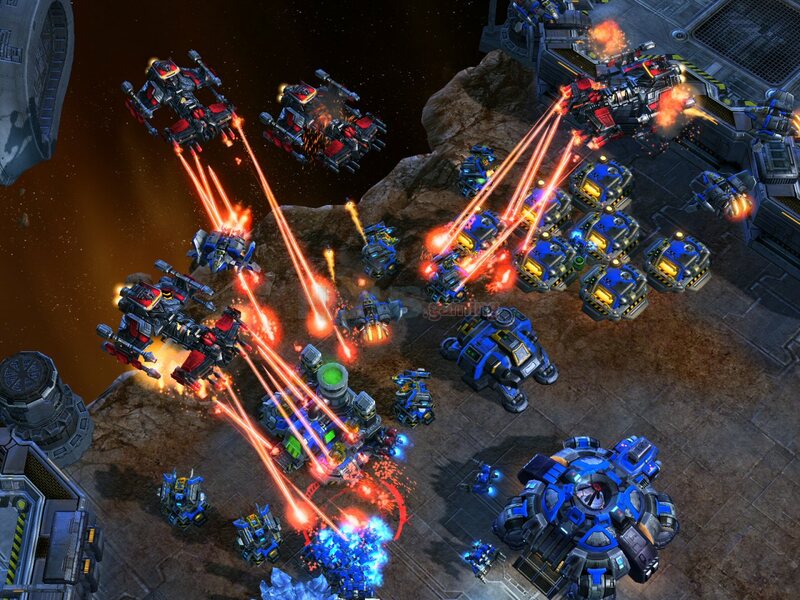 Aside from looking fantastic, StarCraft II will also feature new units, upgrades to old units and some new gameplay mechanics. Although details are still sketchy, we do know that they'll be advanced scenery allocation, new abilities and a departure in the single player campaign from the linear gameplay of its predecessor. We can also look forward to full map-making and scripting tools that will allow players to create custom maps and mods. One of the things that screams out about Starcraft II is that once again the multiplayer gameplay is extremely fast paced and ultra-competitive. There's still not a release date been stamped on it yet and there's still work to be done on the single player campaign, but Starcraft II looks as though it's well on its way to achieving its aim of improving on the magic of the original game.